I just love anything spicy! Today I am sharing an easy homemade recipe that we can’t get enough of here at our house. 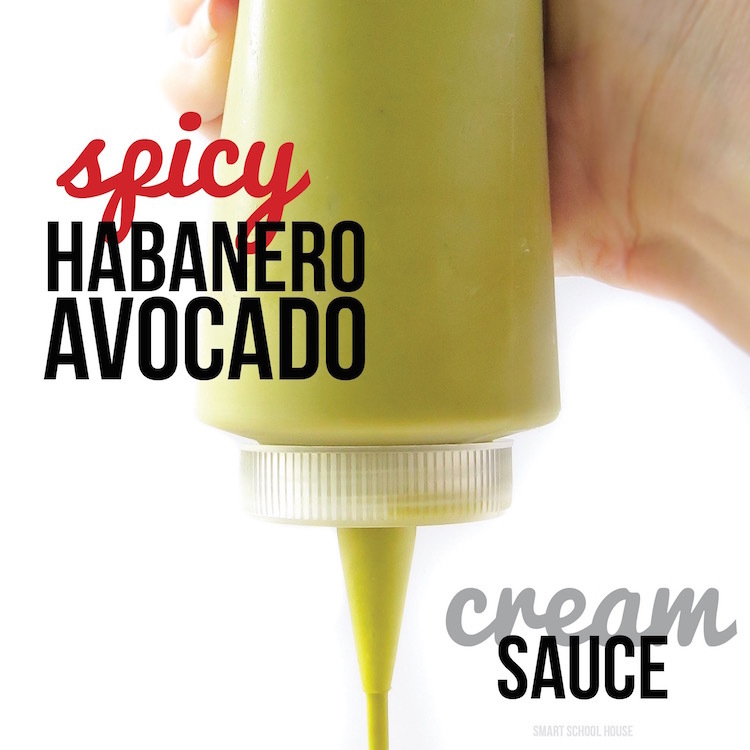 This Spicy Habanero Avocado Sauce is the perfect addition to SO many of your favorite meals. Use it as a topping, an ingredient when mixing, or even for dipping. It’s the perfect match of avocado flavor with spice and cream. Don’t be scared by the thought of a habanero! It’s more mild that you’d think. 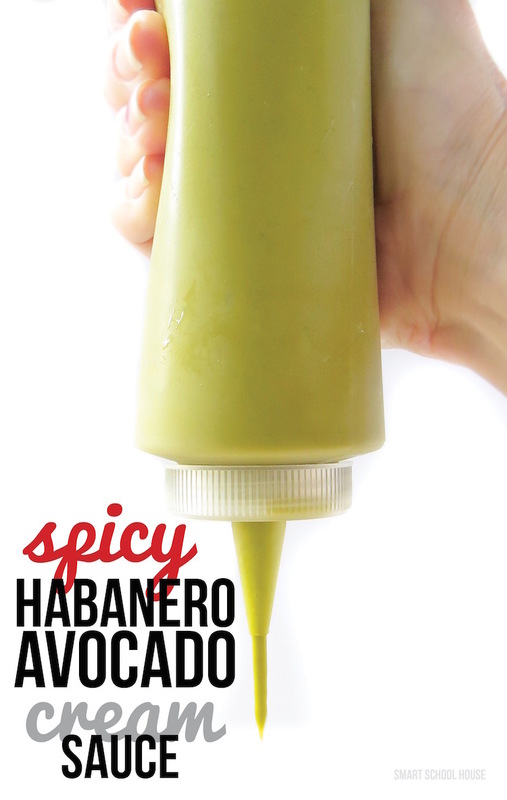 If you love Sriracha, Tabasco, or chili sauce, you will LOVE this Spicy Habanero Avocado Sauce! A Vitamix or some sort of really good blender. Remove the stems of the jalapeños and the habanero. Boil the jalapenos, habanero, and the tomato for 10 minutes. Save this water! Place the boiled peppers and tomato into your Vitamix or blender. Add the 3 avocados (cut, peel, and remove seed first). Add the lime juice, garlic, olive oil, and 1/4 cup of the water you boiled the peppers in. Store in a covered container or squeeze bottle like I do. Refrigerate and use within 3 days. My favorite way to eat this Spicy Habanero Avocado Sauce is on tacos. It is SO tasty on chicken, steak, or any taco meat you prefer. Most recently I used it on lettuce wraps with grilled chicken (I drool at the thought of how good those were!). However, I love to dip chips in it kind of like a salsa. Use it on a sandwich, a sandwich wrap, or on top of vegetables. You can even use it as a pasta sauce for an avocado inspired spicy pasta dish. Try this recipe with pretty much anything you eat with Sriracha, Tabasco, or chili sauce!